The wired hair says it all. This colorful groovy face is something every art lover should possess in their collection. The two crazy eyes are so lovable and so in tune with the nose. 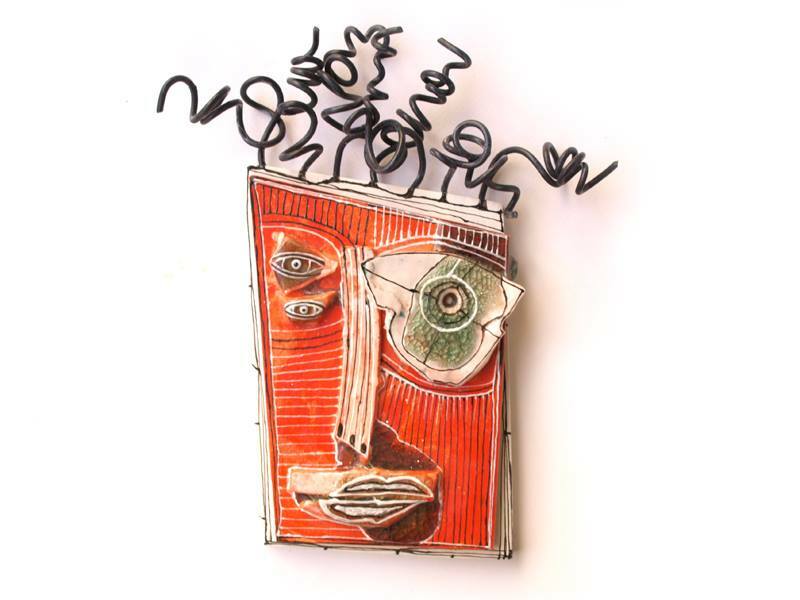 The thin decorative black and white lines emphasize the facial characteristics and the black lines around the face all lead to this gorgeous curly hair, made of thick metal wire. This unique face is made of teracota (red clay and white clay), than glazed with ceramic glaze and painted with special ceramic paint; than it was glued to a wooden board, painted in white. There is a hook on the back for easy hanging. The awesome art piece is perfect for your personal collection or a gift for someone very special. The wired hair says it all. This red groovy face is something every art lover should possess in their collection. The three crazy eyes are so lovable and so in tune with the nose. 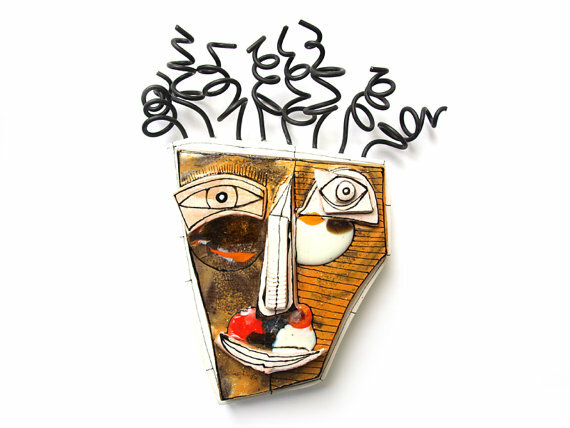 The thin decorative black and white lines emphasize the facial characteristics and the black lines around the face all lead to this gorgeous curly hair, made of thick metal wire. This unique face is made of white clay, than glazed with ceramic glaze and painted with special ceramic paint; than it was glued to a wooden board, painted in white. There is a hook on the back for easy hanging. The awesome art piece is perfect for your personal collection or a gift for someone very special.